All inmates aged between 15 – 17 yrs old. 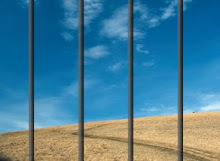 Testimony of Rosalyn, leading the course in a jail of Staffordshire (UK) in 2006. 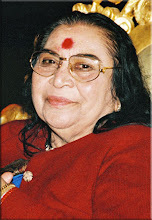 To begin with I really didn’t know how to approach these boys with Sahaja Yoga. It became obvious that the boy’s attention was not going to be sustainable for very long and also the language used would have to be very simple and open so they could not only understand, but also take on board the knowledge I wished to share with them. On arriving at the entrance of the prison the candles brought along would not be allowed inside, nor the incense or anything to light it with. So although resources were very few, I was amazed and heartened that these boys had such a good experience. Finally 7 boys came along to this first meditation, and their drama teacher came with them to experience her realisation also. These 7 boys were rowdy and boisterous but not aggressive and really quite polite. Some were very self-conscious and kept their heads down in the beginning, but fortunately there was one boy who was bold, outspoken and was the ‘spokesman’ for the group. He asked many questions. Honest questions and he wanted honest, straightforward answers. This was very helpful as the others didn’t have as much confidence to speak out. Beginning with a simple relaxation session, with music, some deep breathing and carried out a relaxation session with them first. (They would not take their shoes off). To begin with just basic relaxation always aiming their attention at the fontanelle area, at the top of their head. On finishing this initial part I asked for their experiences. Half of the group had very strong feelings of relaxation and enjoying the session - they felt different things such as heaviness and one felt a lot of heat. “What can it do for me”?, “Why did I feel heat”?, “How can I say to myself ‘I am not guilty’, when I am, that’s why I’m in here”? (in prison). The boys became quite animated again and the quieter ones were now talking much more and exchanging their ideas with each other. Some did say that they couldn’t relax well but in all the boys could clearly be seen that their eyes had changed, their demeanor was more open, relaxed and cheerful. We then had a talk about freedom and how things could change for them, particularly when they leave the prison. The confident spokesman ‘Wesley’ was very open and talked about his aims and what he felt he wanted from life, this helped some of the others to talk more about themselves too. Then they were quietened down again in preparation for Realisation session. Gradually as their attention was taken more ‘inside’ they became more relaxed and you could see the meditation beginning to work. They all moved their hands on the chakras and concentrated on the inner affirmations lifting their hands to Sahasrara. I felt Vibrations suddenly blow across both my hands, and cool vibrations were gushing out above my own head. I opened my eyes to look at the boys. No matter what these boys had done in the past, no matter what their background or history was, I could see the pure innocence on their faces whilst they experienced the deep meditation. I could feel nothing but love at that moment, and a big smile came to me and tears in my eyes at the same time. As we ended the session they all opened their eyes, and ALL, were bubbling with their own experience and the one boy who had felt nothing earlier and was hunched over with crossed arms, his face was clear and open and his eyes shining. Wesley told us that whilst he was meditating he felt an old anger welling up in him, he described how this happened to him at school where he used to throw chairs around in his anger, but he said it subsided naturally during the meditation. As they began to leave us, the warden ‘searched’ them and took them all back to their rooms, they turned back to me and asked me to please come back again for more meditation.